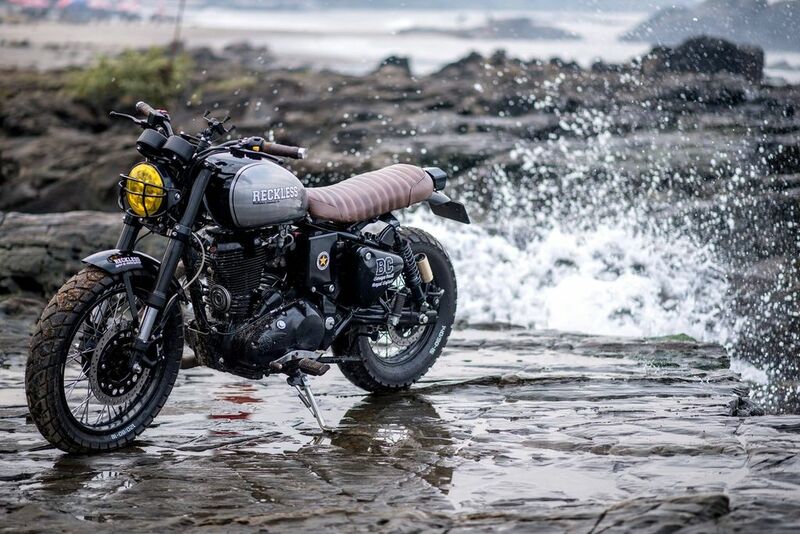 Like Adventure bikes in recent times, Scrambler series is also getting lots of interest from people around the country and the reason for its popularity is its design along with rugged nature. 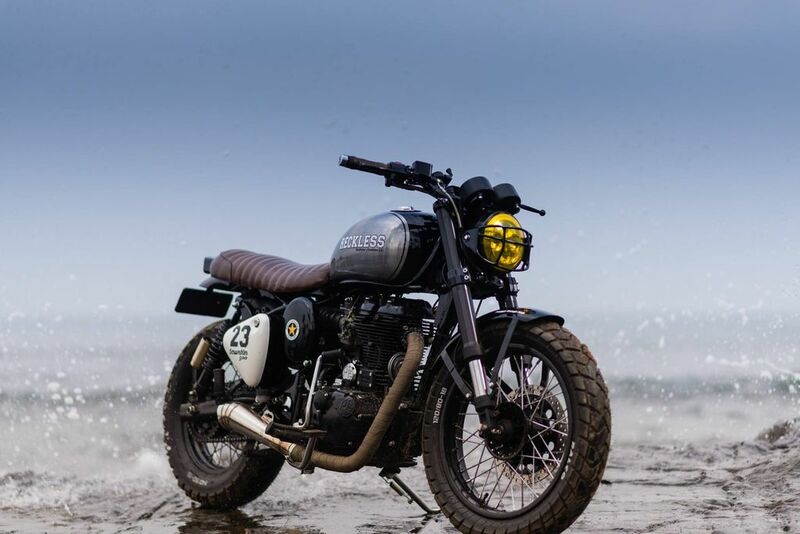 We have already featured so many Scrambler modified Royal Enfields but this one stands out for its perfection and attention to detail. 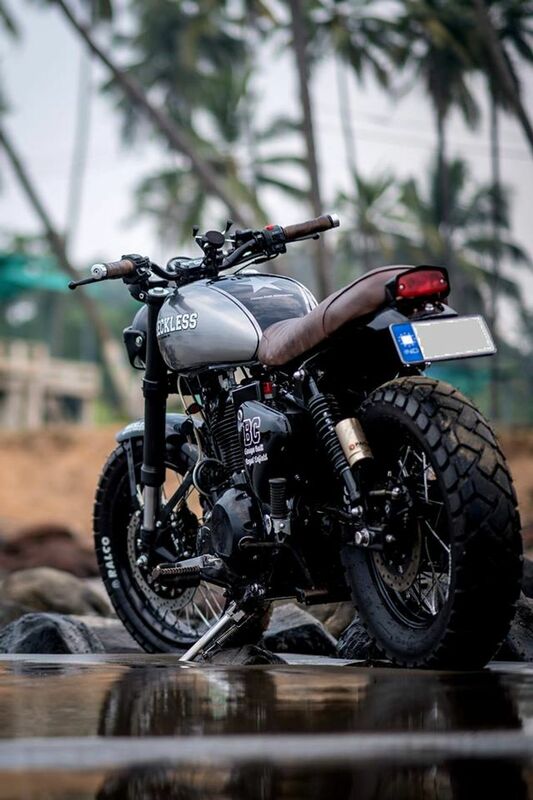 The front get new fender along with upside down forks instead of telescopic suspension on stock model. The headlight is an aftermarket unit with yellow tint and it has baseball inspired helmet grille also. The custom shop has also given new handle bar and new twin pod instrument cluster. The stock fuel tank has been replaced by a custom made one and it comes with a long seat, which is finished in leather with a nice texture also. The rear gets a new tail lamp, which is positioned below seat along with a number plate holder. They haven’t given fender at rear and rear suspension is carried over from stock with gas charged unit. The custom shop carried forward stock foot peg position. The exhaust has been replaced by a new aftermarket unit, which is tuned to produce sporty note. The custom shop has given spoke wheels and at front, it gets 120/80 section tyre and rear gets wider 140 section tyre. The Classic 500 is powered by 499 cc engine but custom shop upgraded this engine to 540 cc with revised sprocket along with performance K&N filter to produce more power and torque. The power output has significantly gone up and the bike can easily cruise at triple digit speeds. In stock form, Classic 500 produces 27.2 bhp of power at 5,250 rpm and 41.3 Nm of torque at 4,000 rpm. The engine is mated to same 5 speed gearbox. 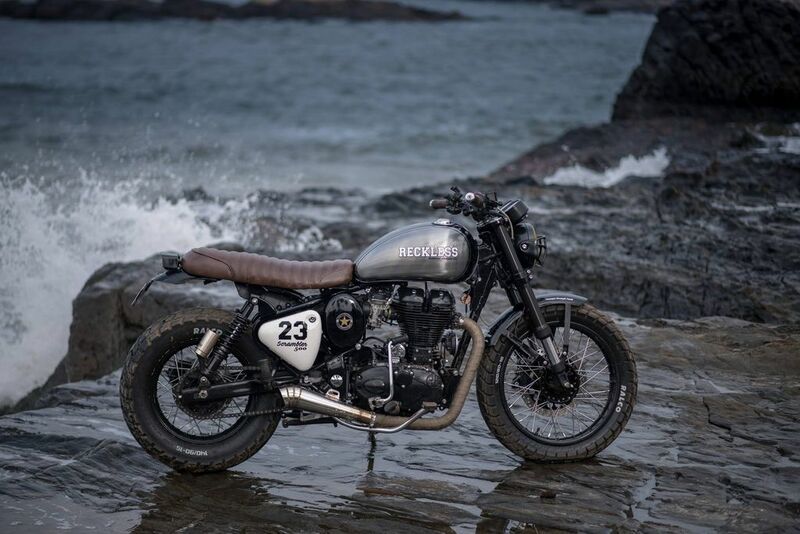 The bike comes with free-flow stainless steel TIG welded exhaust and braking power comes from 280 mm front disc and 240 mm rear disc with single-piston caliper. The total cost of modification is not yet revealed.